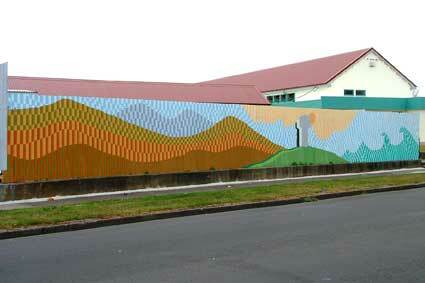 The draft of this mural was drawn by art students at Manawatu College under the tutelage of Clyde Dawson. The painting was done by pupils from the Foxton Primary School which commissioned the mural. Painted by Foxton Primary School pupils. 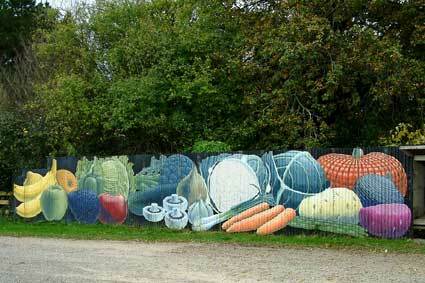 Painted to promote the fruit and vegetable stall operated for many years by Royce and Betty Evans.